Thank you for visiting my website! My name is Christina and I am an attorney from the Washington, DC area. I started this website due to my personal and professional interest in seeing the rule of law sector strengthened. I first became interested in this topic during law school, where I took a course that focused on rebuilding countries after armed conflict. The topic hit close to home because my family is originally from Sri Lanka, a country that had recently endured 25 years of war. 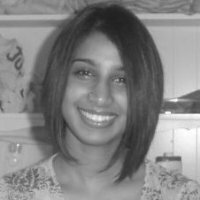 Before law school, I spent 5 years advocating and raising awareness about the human rights situation in Sri Lanka. Though the war ended in 2009, I often struggled with how I could best help my community rebuild. When I learned about efforts to strengthen rule of law and access to justice in post-conflict countries, it created a passion I have been pursuing ever since. In 2011, I began working at the American Bar Association’s Rule of Law Initiative. For the next year, I worked on creating projects for women and youth in South Sudan. While conducting research for these projects, I realized there were few publications that candidly discussed lessons learned or challenges to implementation and there was no central place to find it. This made me wonder how many of us are reinventing the wheel when we initiate rule of law programs? This blog is for practitioners, governments, and others who are developing and implementing rule of law projects. By highlighting lessons learned and innovative programs from around the world, it’s my hope that rather than reinvent the wheel, we reinvent the rules to promote more transparency, share ideas, and ultimately provide more effective relief to the communities we seek to help. Youth and Children’s Rights: I believe youth and children are one of the most critical areas that the rule of law sector will need to shift its focus to if it wants to see long-term sustainable change. In many developing and postwar countries, youth can often constitute a majority of the total population and yet the rule of law sector often misses reaching out to this key segment of the population. Reinventing the Rules will increasingly work towards highlighting innovative programs and lessons learned as they apply to youth within the rule of law and legal empowerment sector. Hi Christina – I just wanted to say that this is a great resource. I’ll be checking it regularly. Keep it up!